Please keep in mind that if you post any of your personal information in public areas of KOSMOS ENERGEIA such as in our business asset exchange or message boards, such information may be collected and used by others who KOSMOS ENERGEIA has no control over. We may also gather information as part of our analysis of use on our Site, such as which areas you visit and what services you access. This data enables us to become more familiar with which individuals visit our Site, how often they visit, and what parts of the Site are visited most often. There is information about your computer hardware and software that may be collected by KOSMOS ENERGEIA. This information can include without limitation your IP address, browser type, domain names, access times and referring website addresses. We use the information collected on our Site, whether personal, demographic, or technical for the purpose of operating and improving our Site. Information we collect is also used to customize your experience on our Site. We may use this information to alert you to products and services available from KOSMOS ENERGEIA or from our affiliated companies. We would not disclose to a third party the fact that your business asset has been advertised for sale, other than displaying your advertisement on our website as well as on any affiliated partner sites that we choose. 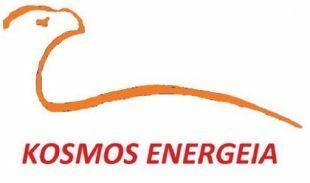 You may at any time view, update, edit or delete the information you have provided to KOSMOS ENERGEIA by accessing the User Registration page and following the instructions accordingly. If you delete some information, it may continue to be stored for archival purposes. KOSMOS ENERGEIA has implemented reasonable and current Internet security methods and technologies designed to secure all our transactions and personal information from accidental loss and unauthorized access, use, alteration or disclosure. We install firewalls and use password protection and encryption techniques where appropriate. While we endeavor to protect your personal information, we cannot guarantee the security of any information you transmit to us. KOSMOS ENERGEIA uses “cookies” to help customize and maximize your online experience. Cookies are small text files that are placed on your computer’s hard drive by a Web page server. Cookies are not used to run programs or deliver viruses to your computer nor is it used to retrieve any information about you from your computer that you have not voluntarily given to us. Cookies are a time saving feature used to submit your requests. Through the use of our cookies, we can deliver faster and more accurate results and a more personalized site experience. When you return to the KOSMOS ENERGEIA site, the information you had provided previously can be retrieved so you can easily use the features you customized. You may also receive cookies when you link to our partners’ sites or when you click on banner ads provided on our Site. You could edit your browser to accept or decline cookies. If you choose to decline cookies, the features of our Site may not function properly and negatively impact your experience on our Site. If you reside in a country in the European Economic Area (EEA), then under the GDPR and applicable data protection laws you have the rights, among other things, to access your personal data, have us erase it, and/or restrict its further processing. If you wish to access or delete your personal data (if any) maintained by us, you can contact us. If you believe that our processing of your personal information infringes data protection laws, you have a legal right to lodge a complaint with a supervisory authority responsible for data protection. You may do so in the EU member state of your residence, your place of work or the place of the alleged infringement. You may exercise any of your rights in relation to your personal data by contacting us.